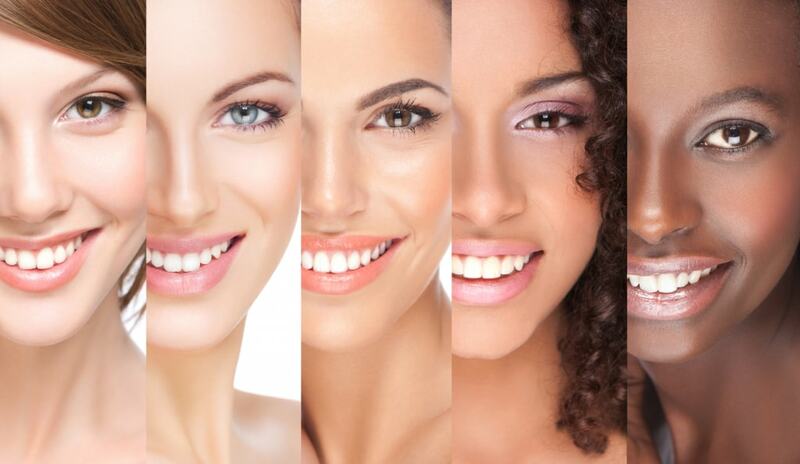 In most situations, people choose a smile makeover for cosmetic improvement or personal preference. Many wish to enhance their smile as a way to increase their self-confidence and change how they navigate social settings. As opposed to hiding their smile, patients who receive a smile makeover can smile brightly. In other circumstances, a smile makeover is a necessity since the procedure can seal cracks and mend broken teeth. Porcelain veneers are ideal for smile makeovers. They provide immediate perfection, allowing patients to see a new smile right after the procedure is completed. If you want a smile makeover with porcelain veneers, keep reading for the more information on the treatment and its benefits. Porcelain veneers are used in cosmetic dentistry. A veneer is a thin shell that is placed over a tooth to correct any tooth damage or to improve the color and alignment of a smile. Porcelain veneers are customized to match the color and the appearance of natural teeth completely. It is a permanent procedure with lasting results. Many patients opt for veneers because capping teeth corrects a number of dental concerns. Tooth enamel plays an important role in tooth function and longevity. Enamel is said to be much stronger than bones in the human body. Although it is resilient, enamel can wear down over time and leave teeth susceptible to decay, discoloration, and unwanted oral conditions. Porcelain veneers offer a solution to damaged enamel as it provides a layer of coating that protects to teeth. Veneers also limit any discomfort or visible damage caused by worn-down enamel. For people who have stained or yellowed teeth, porcelain veneers offer a quick fix. They shield the front portion of the teeth, disguising any discoloration and presenting a more beautiful smile. Porcelain veneers are resistant to stains and offer protection and longevity. After this dental procedure, individuals do not have to worry about whitening their capped teeth. Instead, they can comfortably sip coffee, wine, and other drinks without hesitation. One of the primary advantages to porcelain veneers is the ability to repair chipped, broken, or gapped teeth quickly. Veneers offer instant results that, in most situations, eliminate the need for additional dental cosmetic procedures. Overall, porcelain veneers help conceal minor cosmetic and orthodontic issues. Thomas L. Anderson, DDS and Associates dentistry extends their services beyond professional cleanings and fillings. We also provide a range of cosmetic treatments. Porcelain veneers are one such procedure that we have used to help our patients achieve the look and function they want from their smile. If you have been dreaming of the perfect smile, reach out to our team of professionals to discuss how veneers could be the solution for you. Contact us to book your appointment.